Since the passage of the Affordable Care Act in 2010, the reporting requirements set forth by the IRS have proven to be complicated and time consuming. Minimizing cost and increasing employee retention in the restaurant space is difficult already. Add the administrative burden of the ACA to a restaurant owner’s to do list and you’re looking at another full-time job. With so many intricacies and nuances surrounding the ACA, there is a lot of room for error. Below are five common mistakes restaurant owners make in efforts to comply with the span itemscope itemtype=”http://schema.org/Organization”>ACA and some tips on how to address them. While it is true that it is commonly believed that full-time employees work 40 hours a week, it is also true that employees who work 30 hours a week are considered full-time under the ACA. A common misconception is that “full-time” means 40 hours a week for purposes of ACA compliance. Contrary to popular belief, however, the ACA deems full-time as any employee with 30 hours of service a week or 130 hours a month. Time is of the essence here. There is a time limit within which a full-time employee must be offered health coverage. Depending on the method used to determine full-time status, an employee hired with the understanding that he or she will be working full-time designated hours by an employer may be required to receive an offer of coverage by the first day of the fourth calendar month from their date of hire. For instance, someone hired on march 6, may need to receive an offer of healthcare benefits by June 1. Offering health insurance to 95% of your full-time workforce is one piece of the puzzle. The plan must also be affordable and offer minimum value. While there are several safe-harbors that may be used to determine what is affordable, the simplest way to be sure is to use the Federal Poverty Line Safe-Harbor, which is $96.08 per month in the continental US. If your organization’s plan requires less than that amount the plan is affordable. There are other safe-harbors but they will require some calculations in terms of the total W-2 wages or the hourly rate of pay of each employee. If you haven’t already done so, now would be a good time to perform some general cleanup on your record keeping. Messy payroll data can result in inaccurate employee classification. Disorganized time and attendance records can result in employers failing to identify full-time employees correctly. With inaccurate employee classifications, employers are putting themselves at greater risk by potentially failing to extend offers of coverage to eligible employees. Organized payroll and time and attendance records are critical for business success for more reasons than one. Don’t sleep on this one. Often times employers think that once an offer of healthcare benefits is made, it’s good forever. The reality, however, is that the offer is only good for the duration of the plan year. It is important to re-offer healthcare benefits at the beginning of every plan year. With the right information, the requirements of the ACA can be one less thing to worry about. If you’re looking to mitigate risk, don’t overlook these five common mistakes. 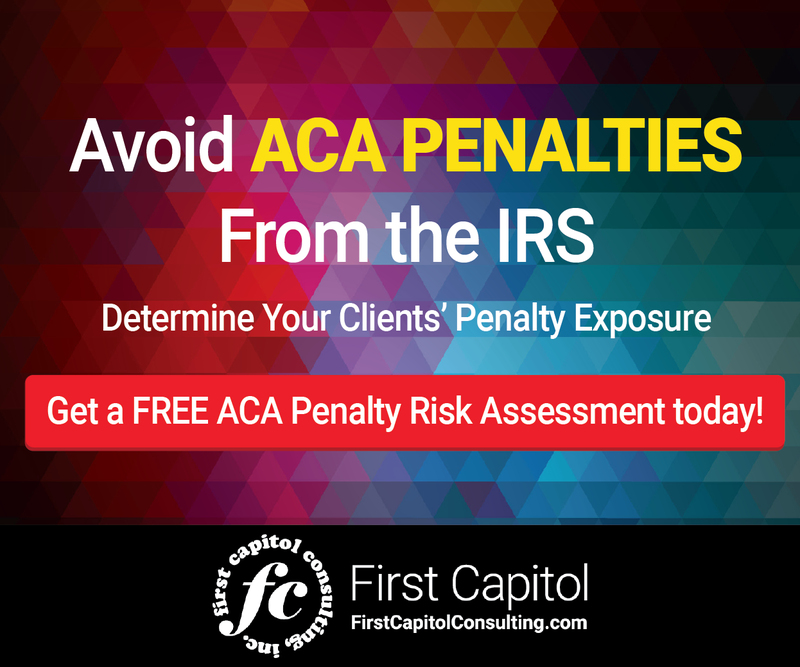 In fact, now is a perfect time to make some changes in how you undertake ACA compliance activities in preparation for your 2018 tax year ACA filings with the IRS in 2019. 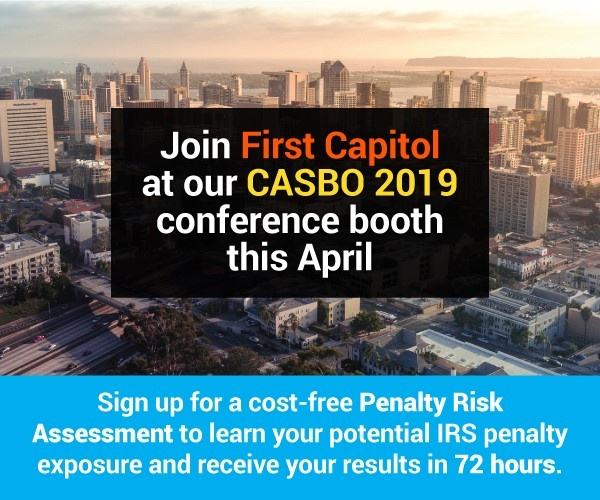 Just as you constantly review the progress of your P&L, consider more frequently looking at the progress of necessary information tracking for successful ACA compliance. If your team needs to keep its focus on growing your business, consider hiring an outside consultant party with the appropriate tax and regulatory expertise to handle your ACA compliance tracking and filing for you. 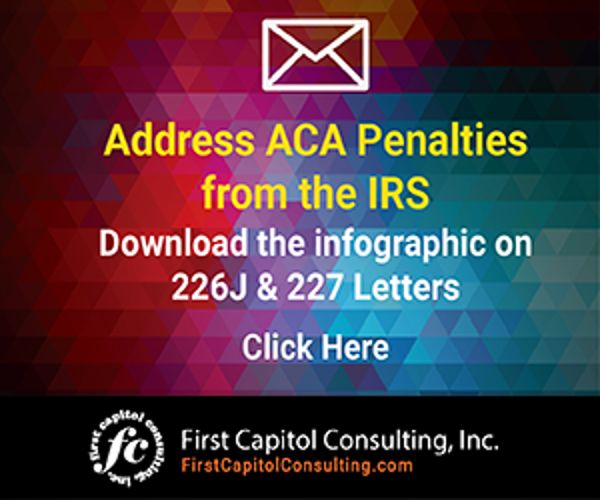 Based on what we have seen with Letter 226J, the penalty notice being issued by the IRS, organizations that are identified as being out of compliance with the ACA are facing some stiff penalties, some in the millions and even above $20 million. With potential financial risk like that, a little more attention paid to ACA compliance may be worth the investment. Complying with the Affordable Care Act is a challenge for any organization, but restaurants, with a complex mix of full- and part-time employees face more challenges than most.